In its recent report to members, the US Practical Shooting Association announced that the Steel Challenge World Championships would be moving from its current location in Frostproof, FL to St. George, Utah for the 2014 match. Additionally, the Steel Challenge LLC will be absorbed by USPSA into one unified organization. Whether or not this will be enough to save the floundering match that was once the richest handgun tournament in the nation will remain to be seen. 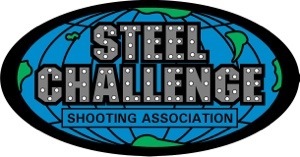 Steel Challenge was created over 30 years ago in the vibrant (at the time) shooting culture of Southern California. Up until 2007, it was an independent match, not associated with any of the other major shooting sports. In the winter of 2007, it was sold for a considerable sum to USPSA, who took over the administration of the match. For the next four years it was largely unchanged, until in 2012 the match was moved from Piru, CA where it had been held for 30 years to Frostproof, Florida. The first Frostproof match was a bit of a rough start. Participation dropped precipitously from the last match held in Piru, the traditional impact activated stop plates were abandoned, but for the most part the shooters and sponsors were happy with the match being held in Florida in November. After the match concluded, it was announced that the 2013 match would be moved to the middle of July, and bookened with the non-USPSA sanctioned ProAm match. 2013 was a rough year for Steel Challenge. The July time table saw terrible weather soak the shooters, and while organizers had hoped for an increase in attendance, it was down for the 2nd straight year in a row at the 2013 match. Media coverage was sparse, with few outlets reporting on the match, and even sponsors complained about the lack of representation in exchange for their sponsorship dollars. Steel Challenge was in serious danger. Add on top of that the 5 year contract USPSA had signed with the Universal Shooting Academy in Frostproof, and things were looking grim for the future of Steel Challenge. Two straight years of declining participation in a match is a bad sign; especially at at time when ever other shooting sport is experiencing considerable growth. IDPA, 3Gun, and even NRA Action Pistol were experience major increases in shooter participation at their national level events, meanwhile the former crown jewel of the shooting sports was diminishing. That brings things to where they stand now with Steel Challenge. Will a new location in St. George and new dates in June pump some much needed life back into this once great match? Or will the hassle of adding another city, another weekend to their travel plans put off the remaining 80 die-hard shooters that attended the match in 2013. In 2010 and 2011, the last two years the match was held in Piru, there were over 200 entrants in the “Main Match” category. In 2012 in Frostproof, that number shrank to 132 entrants. In 2013, that number was down to just 104. That doesn’t tell the complete story though, because an single person at Steel Challenge can be entered in multiple divisions in the Main Match category. In 2013, the final year for Frostproof, there were approximately 80 shooters for the entire match. A World Championship match, formerly one of the most prestigious matches in the nation had shrunk in attendance size to the same as a well attended club level IDPA match. What does the future hold for Steel Challenge? It appears that 2014 will likely be the deciding year. By absorbing the organizational structure of Steel Challenge into USPSA, this gives USPSA the ability to kill the match entirely if it doesn’t perform well in Utah. And perform well it must, because I don’t think the match could survive another year of falling shooter numbers and sponsorship dollars. If a new location and new dates can once again attract greater numbers of shooters, media, and sponsors, then perhaps we’ll see a renewed Steel Challenge. As students of the history of the sport, and fans of the great shooting sports, that’s exactly what we’re hoping for. Perhaps USPSA will take a page from the NRA’s playbook, who have restored Bianchi Cup to its status as the most prestigious handgun tournament in America. It’s our hope that Steel Challenge will be able to shake off the last two years of missteps and once again be one of shining examples of what’s great about the shooting sports. Our local match is looking to switch away from Steel Challenge to maybe Ruger Rimfire for our affiliation due to the lack of institutional support for Scholastic Steel Challenge. Failing to support youth doesn’t bode well for the future of the organization. I have seen this match die before 1994 it was gone for a few years. It always happens when you have new ownership and venue. This year I will shoot the West Coast Steel Championship match in Piru CA it has new stages and a bigger prize table. If they do move it to St George I’m all in there is some cool rock climbing in St George too…….. They are trying to capitalize on the West Coast Steel Championships, they are holding the Steel Challenge the Weekend AFTER the WCSC and hoping that the shooters that just finished the WCSC will drive to St George and shoot the Steel Challenge. I know Prize Tables drive some shooters, NOT me, I’m NOT good enough to win the goodies and when I want something, I go buy it!! I shoot for the fun of it!! But at the same time, I want to have fun, NOT be annoyed!! I look for Matches that are fun, full of friendly folks and NO RANGE NAZIS!! IMHO, If you don’t manage your Match, your Match WILL DIE!! This is the problem with Steel Challenge, it’s NOT being Managed, it’s being totally ignored!! Let’s be honest, ever since Dave Thomas left, USPSA has suffered at the leadership position. I think Ruger Rimfire is no more. NSSF took it over. New Rulebook and more. I think you’re correct Ty. Just trying to remember what the MD told us at the last match. Anyway, we’re seeking a new governing body for our youth. Well, Funny you say that!! This is where Glock and S&W are putting their money in!! The Solution is the SPP, Scholastic Pistol Program!! The Stages are a little Different, but there is support from the Scholastic Shooting Program!! It’s a strange thing happening to SCSA. Many of the clubs in my area (PA) are having great growth in attendance at steel shoots (not SCSA affiliated). I’m thinking that the problems lie with the management of the sport and the match. Cummon SCSA…..get it together! Your website is a WRECK and you are hurting a sport that many people enjoy and thrive in. Maybe is NOT the Match, but the way it’s Run, or in this case “NOT RUN” because I think the problem is that the are just ignoring this sport!! If the governing body changes the location AND dates of a match and it doesn’t work out. then change one or both back! Perhaps June is a bad time of the year. High attendance in February? Then change it to then! Only changing the venue just means more travel in a busy schedule. Only pro/paid shooters will be able to attend. And if “the masses” can’t/don’t attend, who is their to pay for the match! Why not change or add some stages? Shake things up a bit. One of my local Steel Challenge matches dissolved because of ammo costs. .22’s to be specific. I think something like 80% of match shooters also shot .22. Several families shot .22’s exclusively. I haven’t heard anyone discuss the impact of ammo prices on shooting competitions. Here’s an idea! Have a multi-day shooting event where each day is a different type of event. Of course, each event type will have to be multi-day to handle all the shooters. Call it the “shooting Olympics”. This way shooters can take a week or two of vacation, do all the major shooting events in that time. Just starting up, run by shooters, and for shooters.